A simple and clean template perfect for candidates in the hotel sector. What else do you need? Cover letter to download "Tourism-1"
Simple and clean—This cover Letter does a great job in presenting all your qualifications! 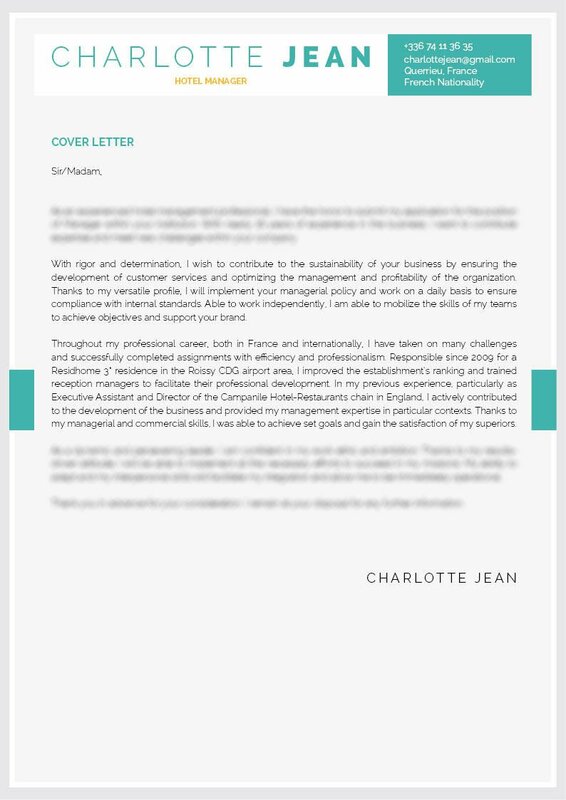 A great selection of colors, texts, and styles found in this cover letter create the perfect Cover letter presentation for hotel manager jobs as it is able to showcase all the key content clearly and effectively. Applicants who have an excellent set of skills and experience such as yourself will find this cover letter a perfect fit as it lists down all your qualifications in an easy-to-read format that is sure to impress your potential employer. 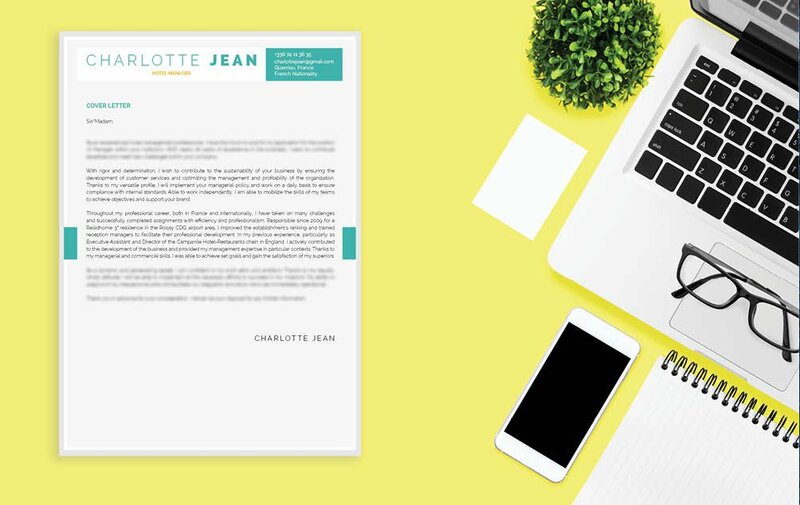 What makes a cover letter more effective?—It's by having a comprehensive and clear format. A cover letter designed this way has a higher chance of getting noticed, which will increase the likelihood of you getting that dream job! 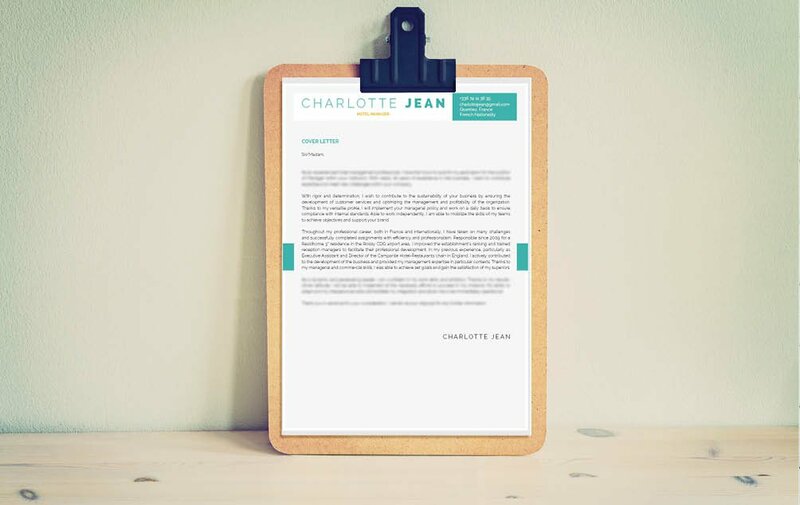 To create an effective cover letter format, use a professional font like Serif or Sans Serif. Make sure to limit your font size to only between 11 and 12. Use italic/bold font faces to guide your reader along with your cover letter with ease. 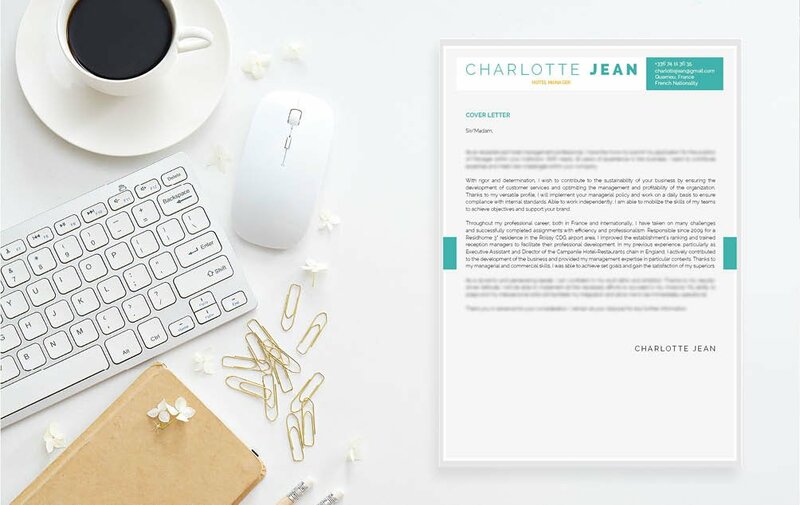 The use of graphics and bullets will bring attention to the key parts of your cover letter that needs to be highlighted. Lastly, make good use of headings, subheadings, and wide-margins to give your cover letter a logical format that is easier to read.